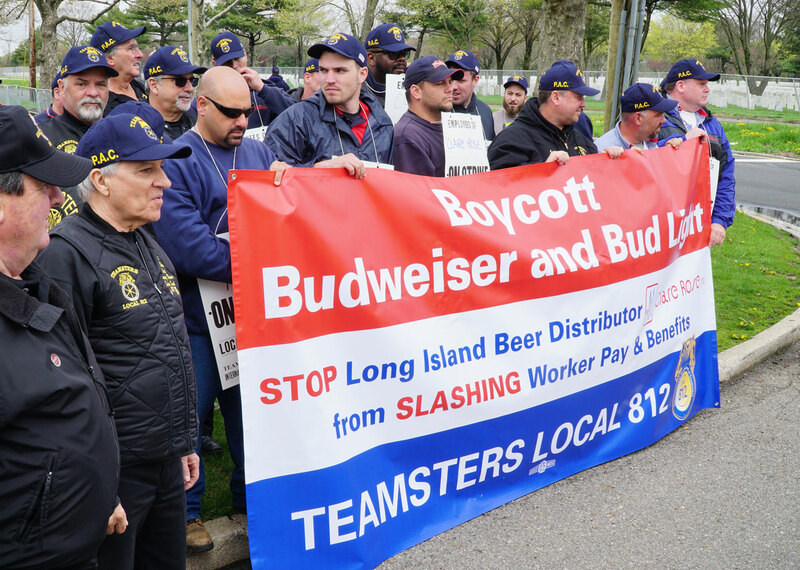 The union on strike at Clare Rose beer distributors will begin targeting the supermarkets and other companies – like Blue Point Brewery – who do business with Clare Rose, officials announced today. “We have notified Clare Rose customers about the illegal and anti-union activities that the company has taken against its employees. If you are going to continue doing business with Clare Rose, you can expect us on your doorstep, talking to your customers and asking them to boycott Clare Rose products,” said Teamsters Local 812 President Ed Weber. Clare Rose Teamster members will protest outside of stores with banners reading “Clare Rose Hurts Long Island Families.” Members will give customers fliers with more information about Clare Rose’s labor abuses and ask them to boycott the company’s products. On Saturday, the union is planning a large rally outside Blue Point Brewery’s “Big Brew Day at the Boatyard.” Clare Rose is the sole distributor of Blue Point to Long Island stores and bars. Blue Point is owned by Anheuser-Busch. Many Long Island small businesses, on the other hand, have supported the Clare Rose workers. A photo of a Handy Pantry sign in Manorville went viral on social media with the company’s message, “We stand behind our drivers! Not taking Bud deliveries until contract is reached!” Many others have refused Clare Rose deliveries and pledged their support to the striking Teamsters. The expanded protests are part of a new wave of actions inside and outside Long Island. On Tuesday, the strike followed Clare Rose to the nation’s capital, where the Teamsters Union protested outside of the National Beer Wholesalers Association’s Legislative Conference. 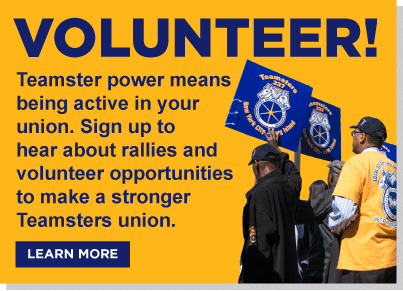 Over the past week, the International Brotherhood of Teamsters, the New York State AFL-CIO, and Congressman Tom Suozzi, among others, have pledged support to the strikers’ cause.